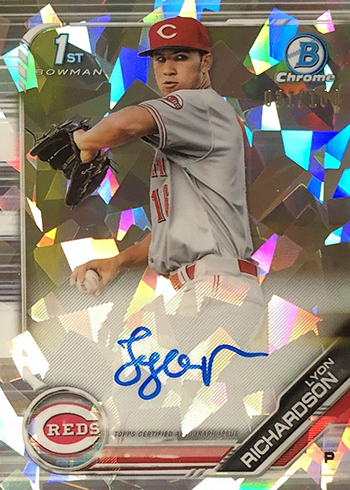 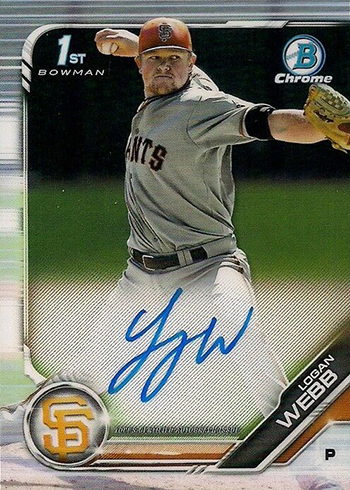 Curious about who the 2019 Bowman Chrome autographs are? 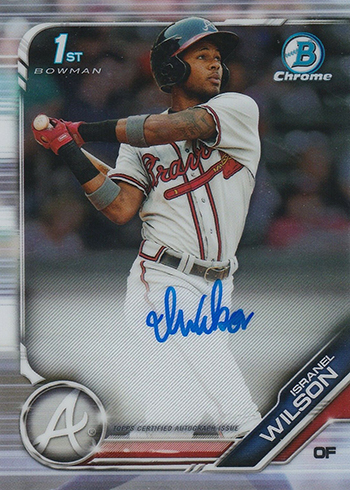 The checklist has plenty of notable names and some that will likely become bigger in the years ahead. 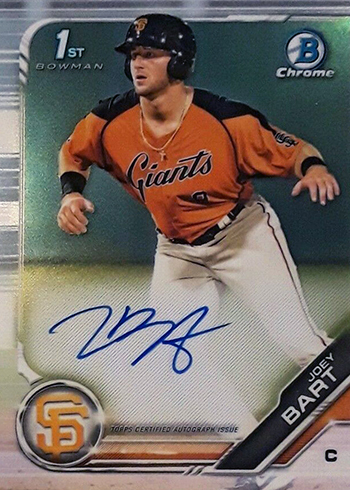 As far as recent draft picks go, Joey Bart leads the way. 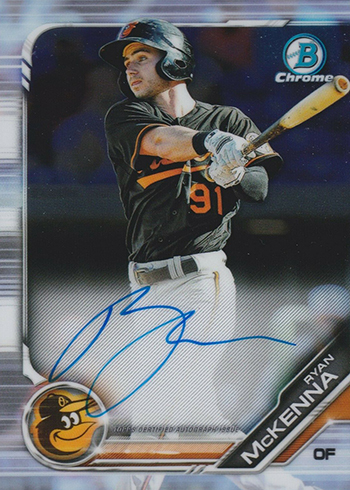 The Giants took the catcher second overall in 2018. 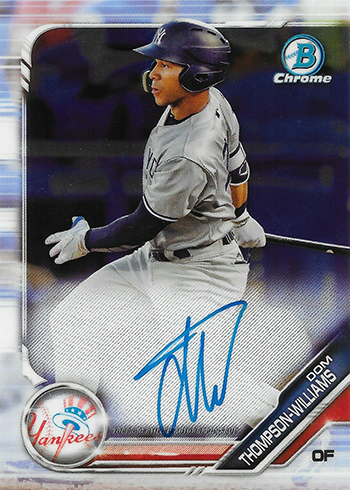 He’s one of the few top picks that year not to have autographs in 2018 Bowman Draft. 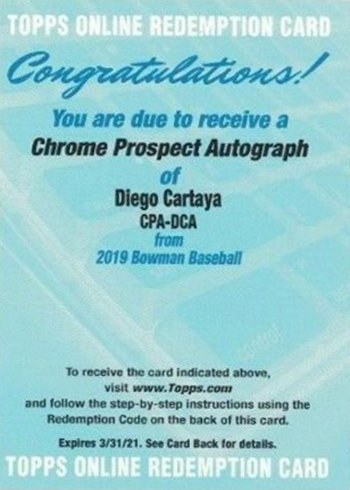 International signings are also part of the 2019 Bowman Chrome Prospect Autographs. 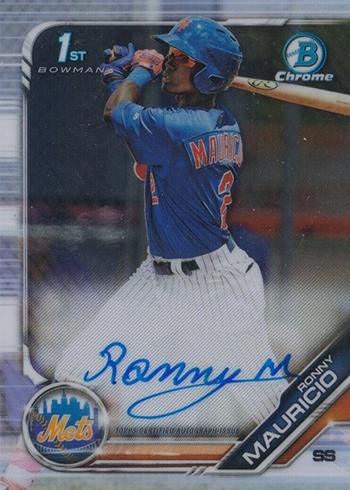 Among them are Wander Franco, Victor Victor Mesa, Victor Mesa Jr., and Ronny Mauricio, who turned 18 just days before the set’s release date. 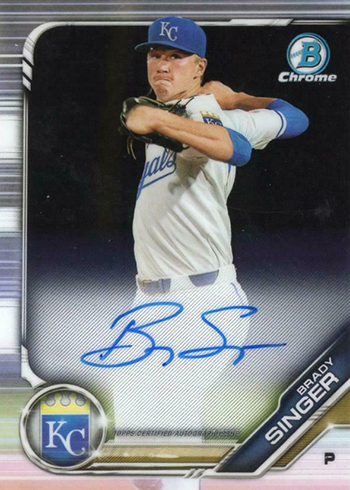 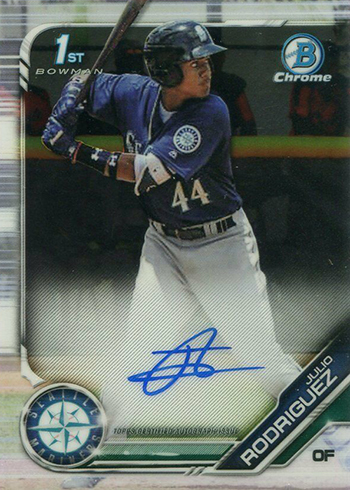 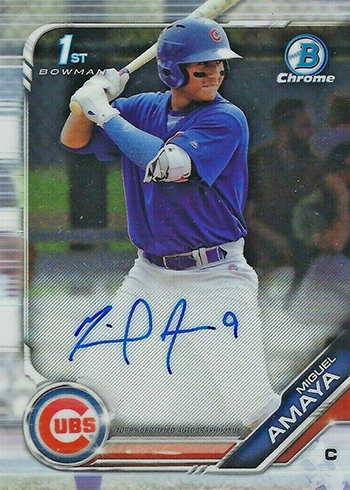 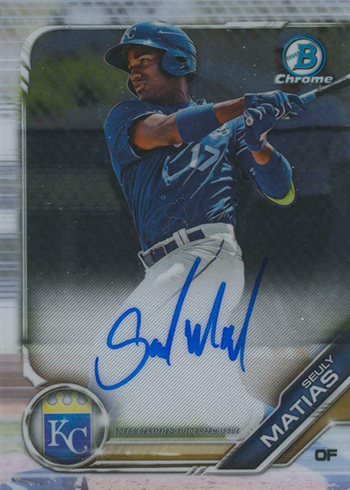 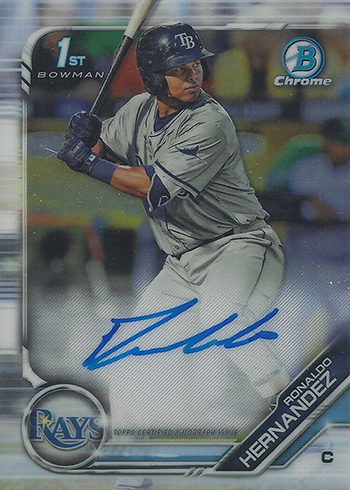 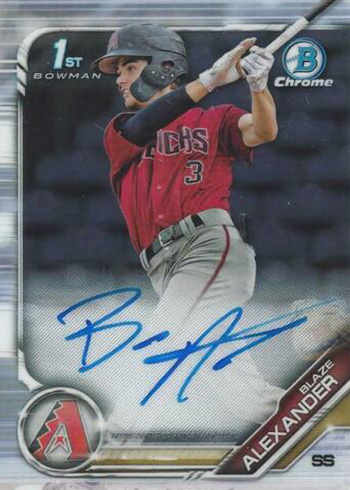 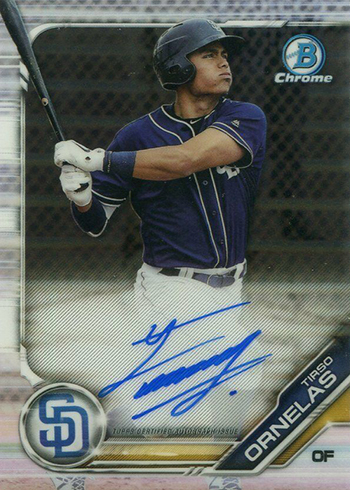 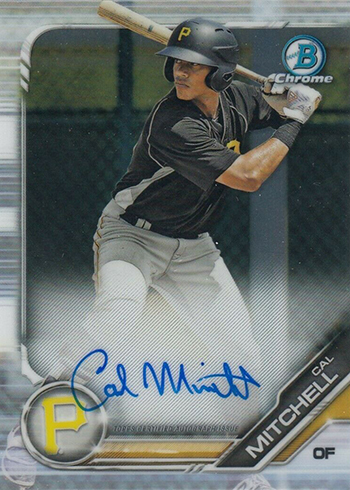 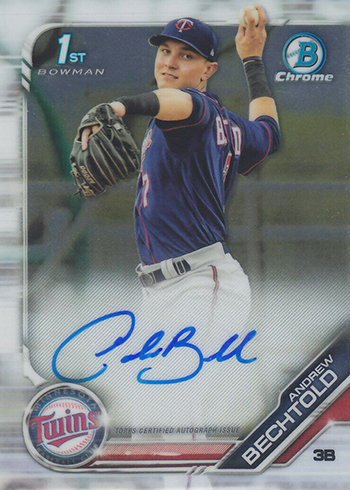 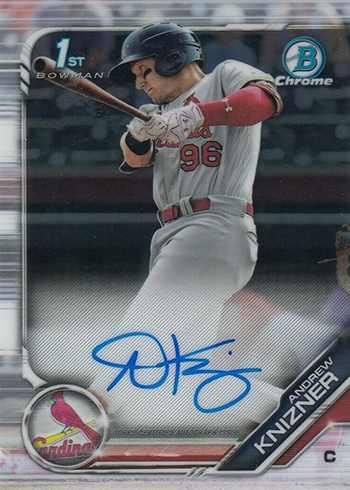 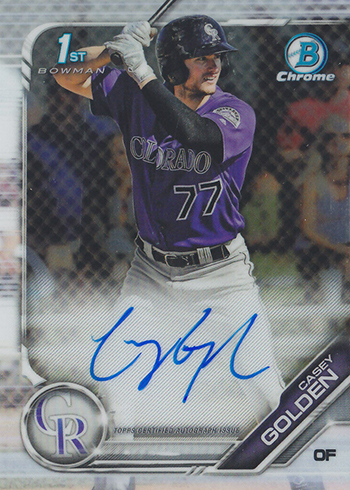 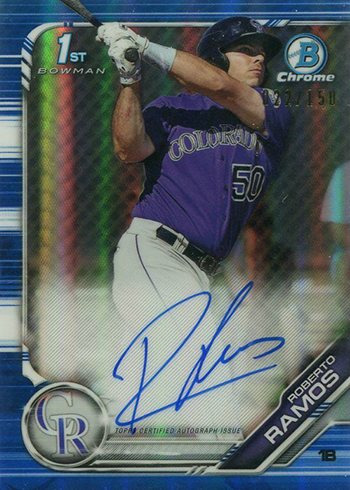 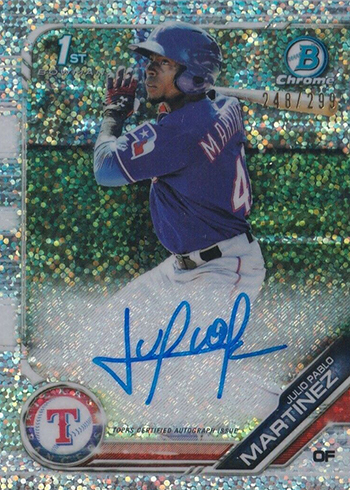 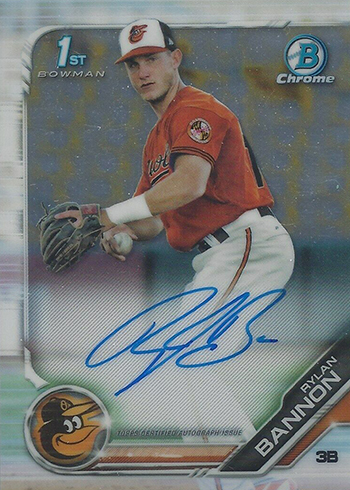 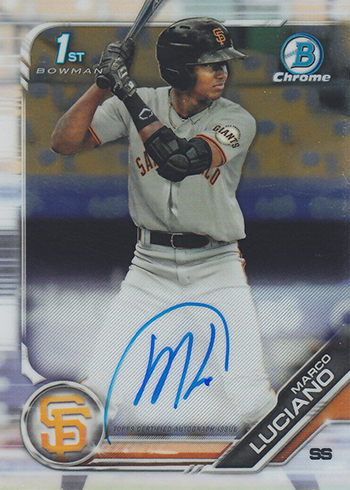 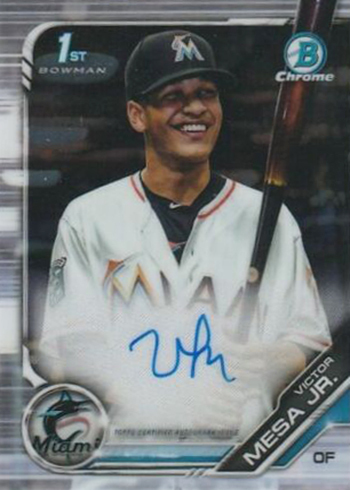 Sticking with a somewhat recent trend, a handful of big-name players on the 2019 Bowman Chrome Prospect Autographs list aren’t making their debuts. 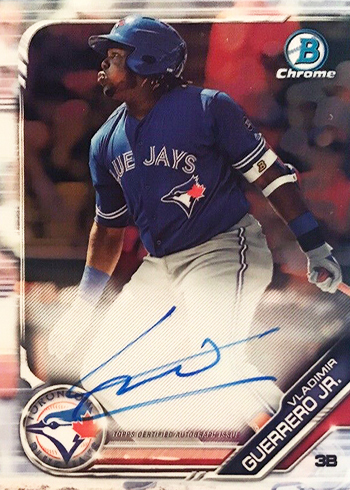 Vladimir Guerrero falls under this category. 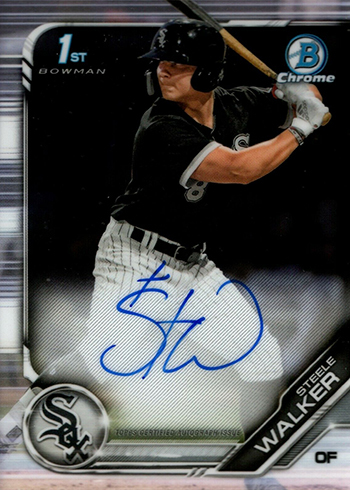 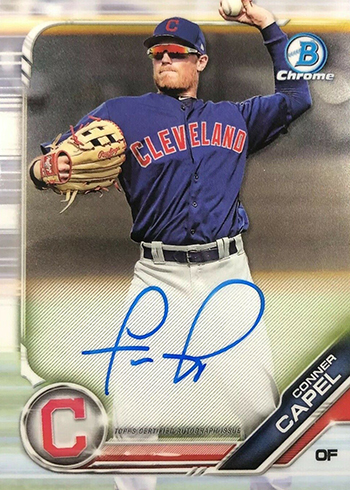 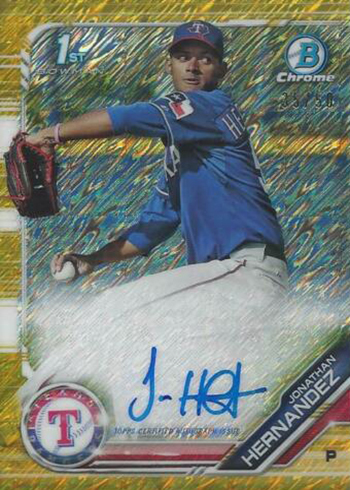 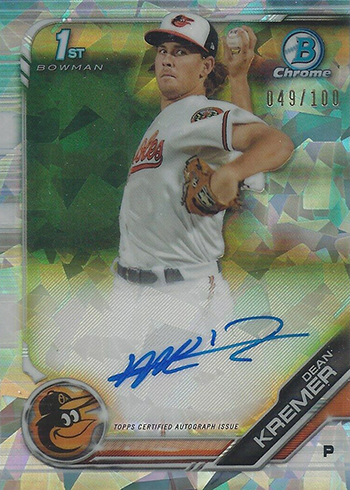 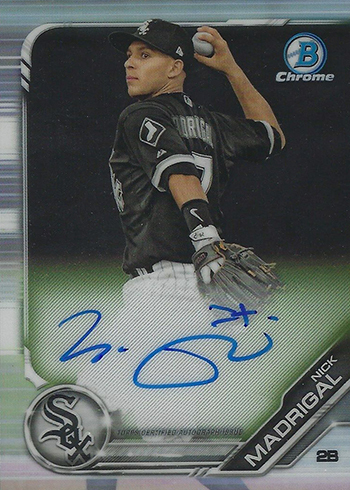 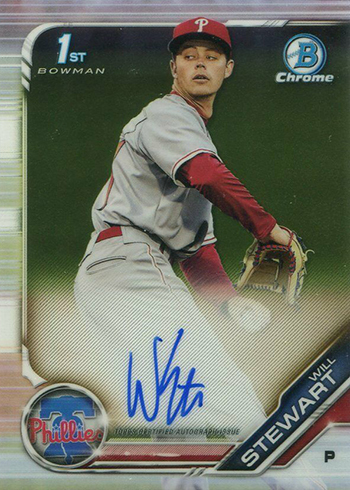 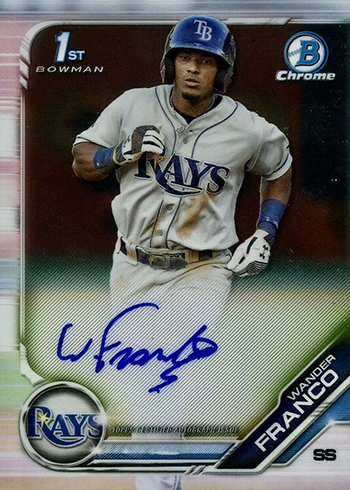 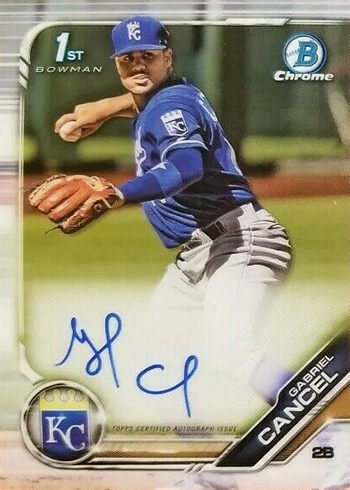 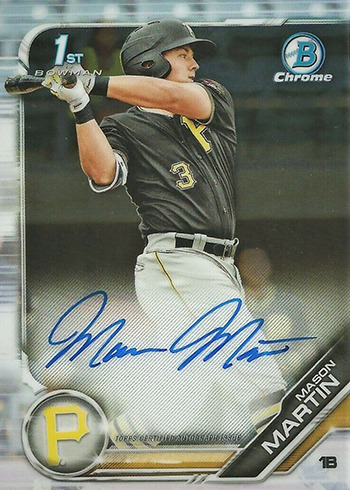 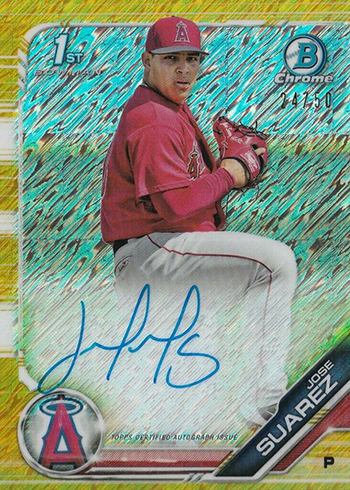 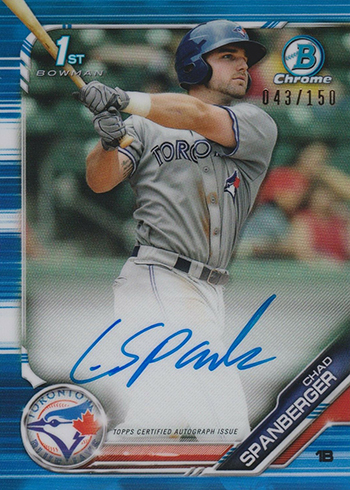 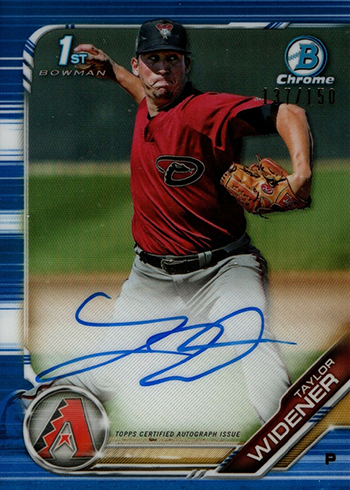 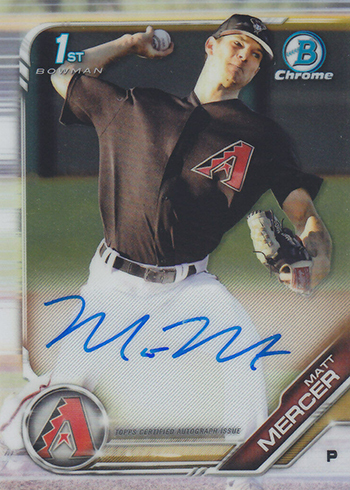 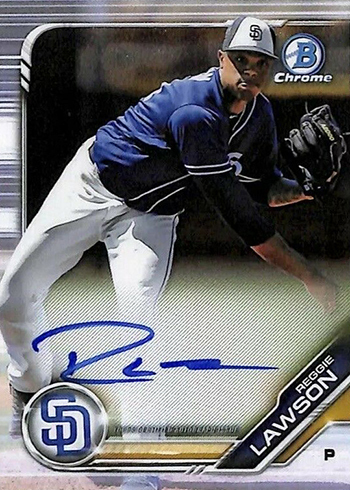 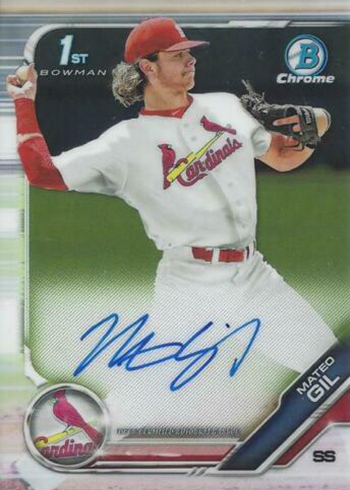 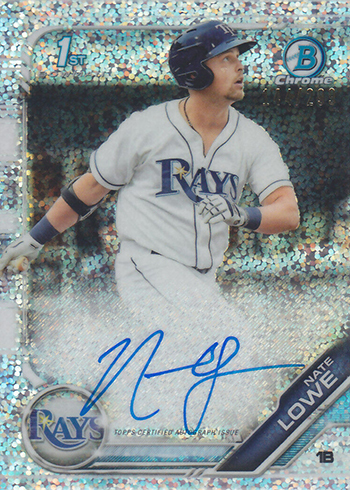 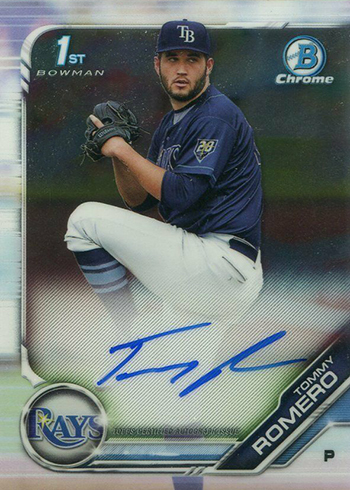 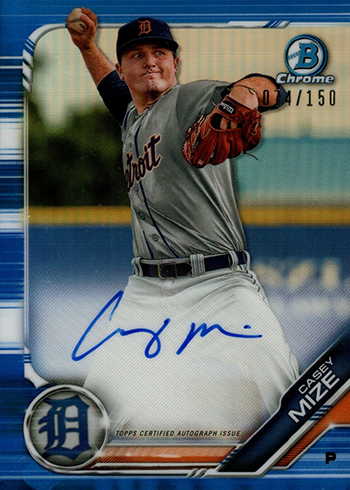 He made his Bowman Chrome autograph debut in 2016. 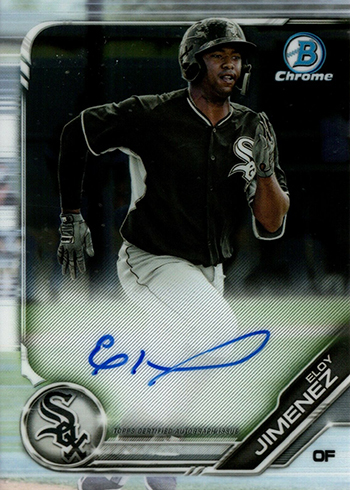 Eloy Jimenez, who started the season with the White Sox, also appears. 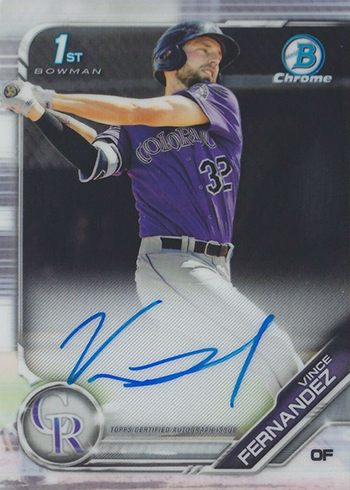 His first Bowman Chrome autograph came in 2017. 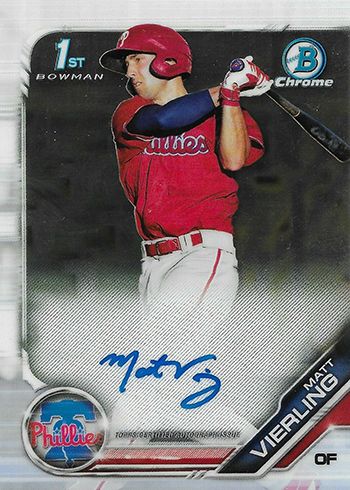 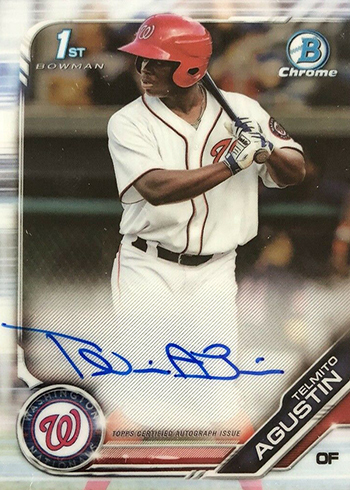 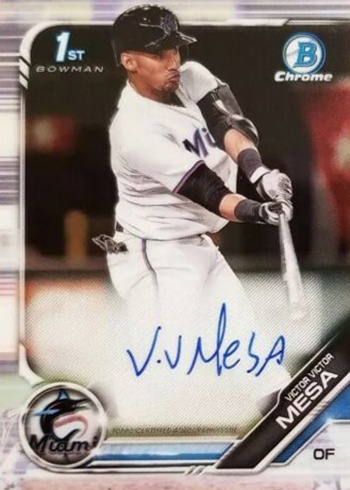 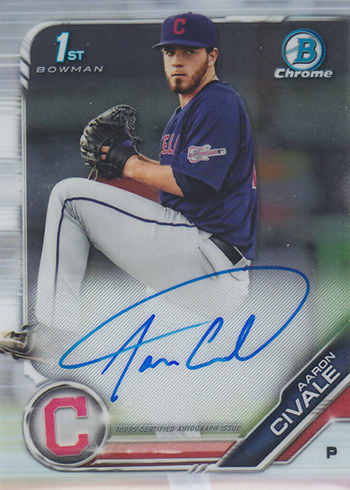 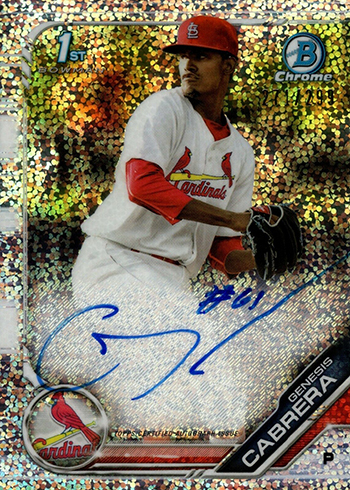 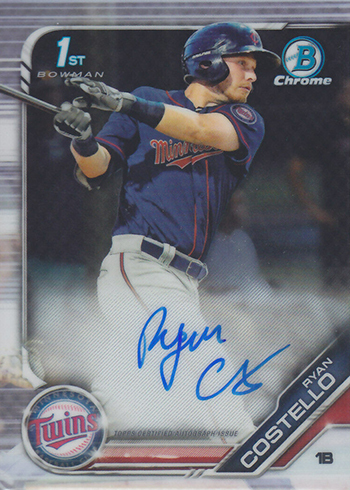 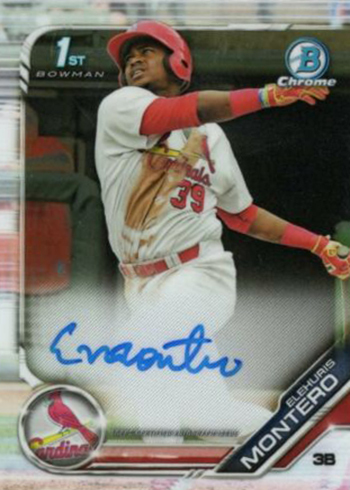 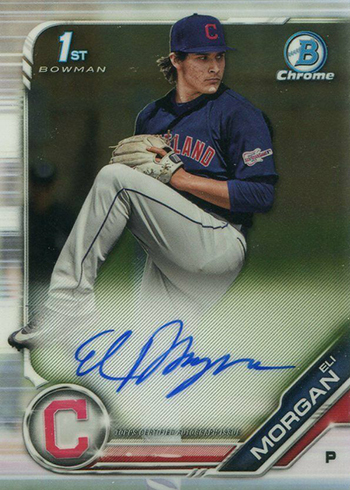 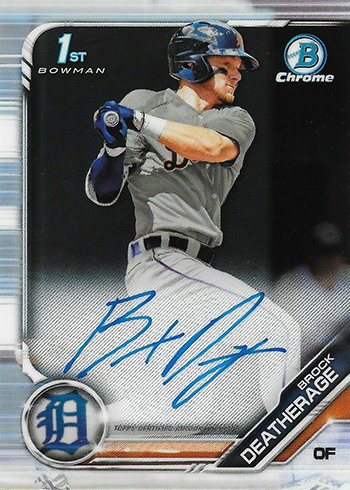 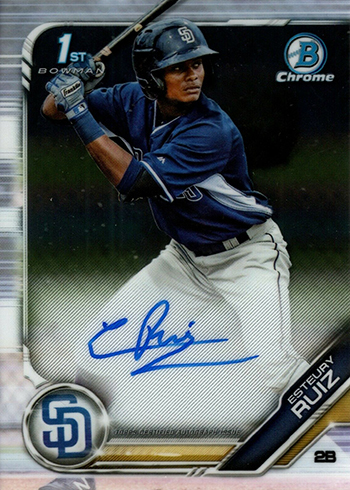 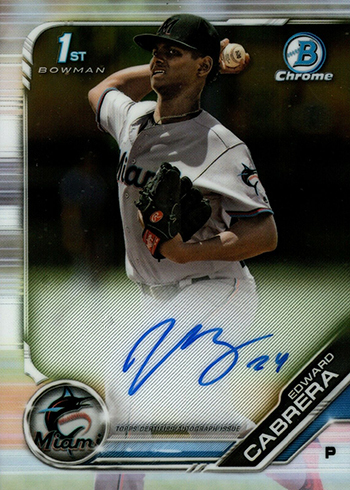 The 2019 Bowman Chrome autographs checklist will evolve throughout the year. 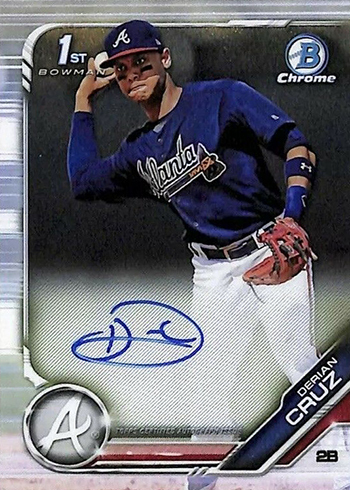 The first instalment is in 2019 Bowman Baseball, which comes out on April 17. 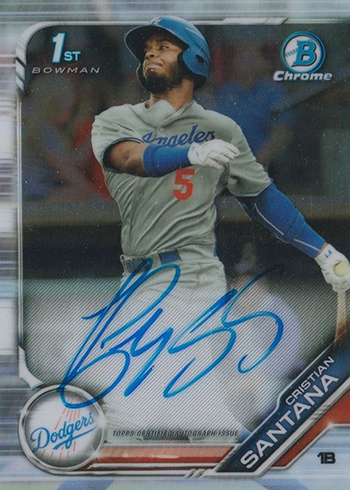 Next is 2019 Bowman Chrome Baseball. 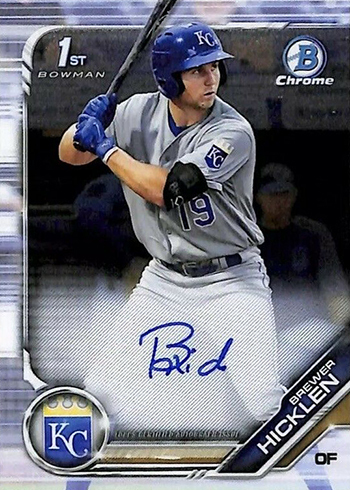 Finally, 2019 Bowman Draft acts as a bookend late in the calendar year. 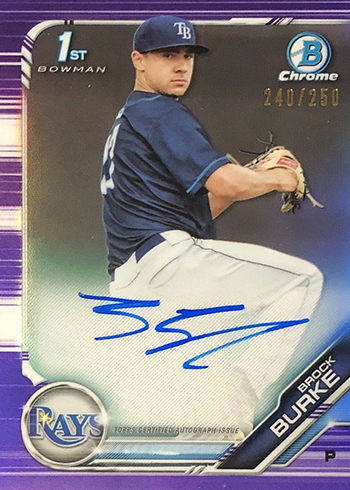 In addition to the players, you’ll find links to other resources including full baseball card lists and stats. 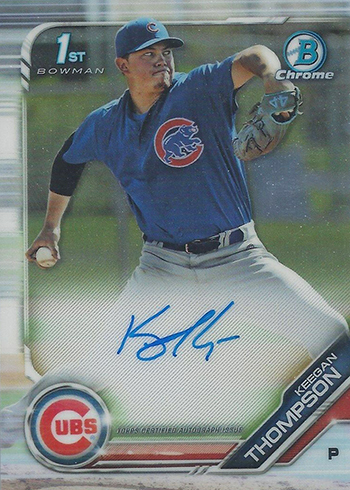 @Kerry – It’s a Rookie Autograph. 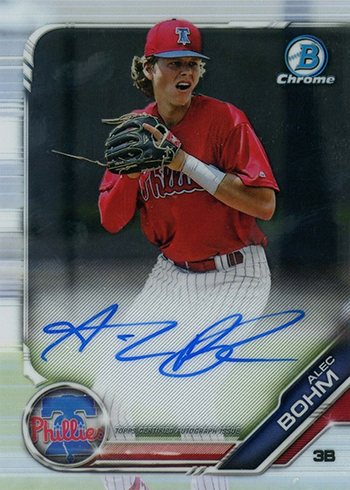 Only the Prospect Autographs are highlighted here.